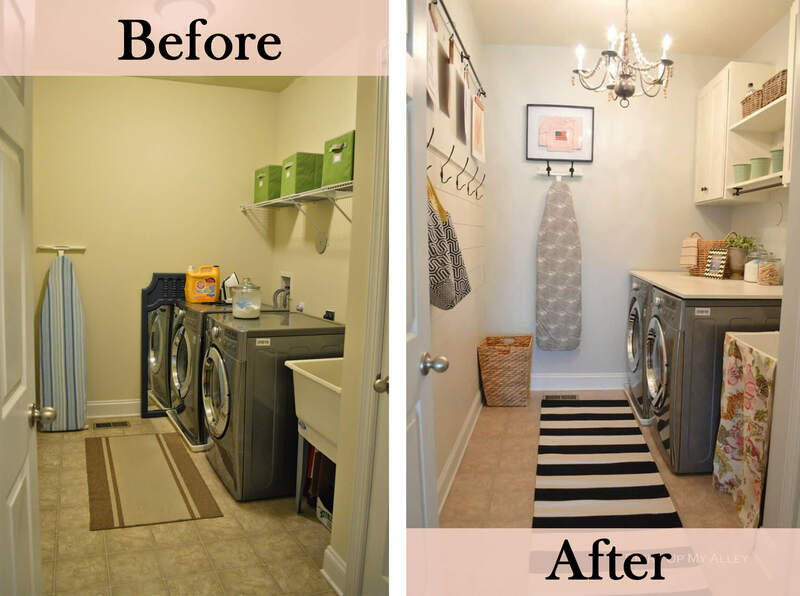 One of the rooms that might go a little unnoticed in your home is also one of the most important ones: the laundry room. You use it at least once a week if not twice, thrice or even every day if you have kids! 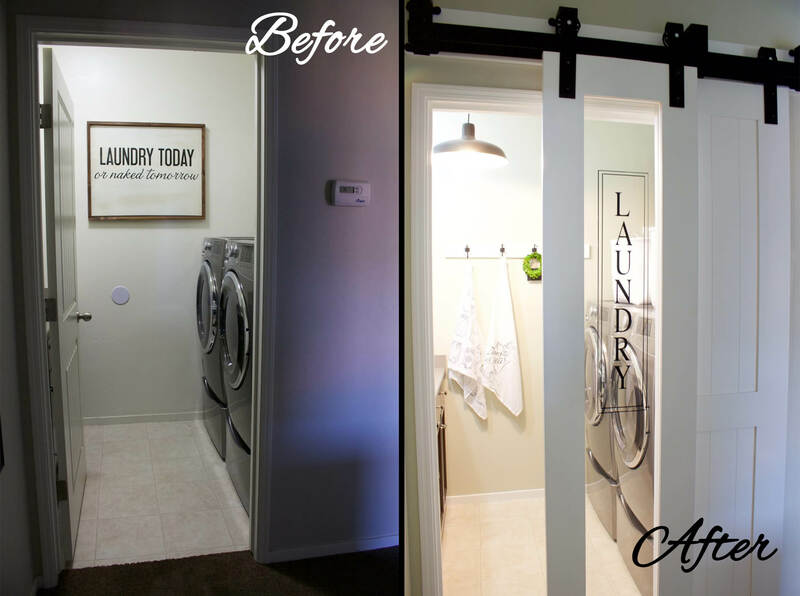 The laundry room is essential, but can also be forgotten when it comes to decor and functionality. A room that is pleasant to be in can make tasks as mundane as throwing dirty clothes into the machine and ironing your work clothes much more enjoyable. 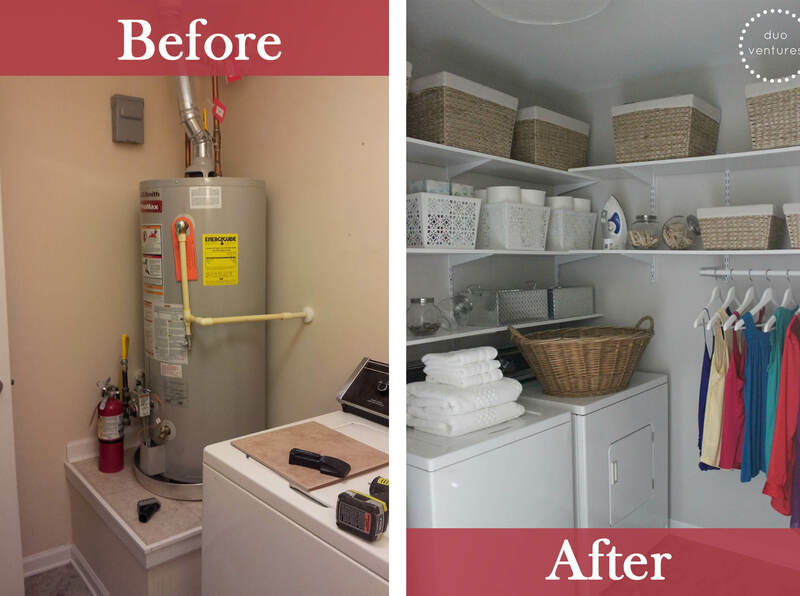 You don’t have to break the bank to makeover this space either, there are plenty of budget friendly laundry room makeover ideas to choose from that will make the before and after pictures fun to show off to your friends! 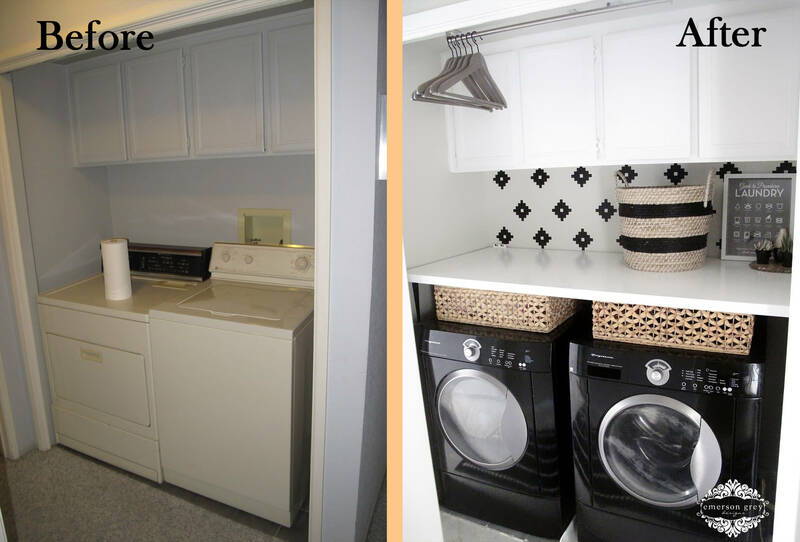 When it comes to piles of laundry, you also want a room that is easy to maneuver said piles from washer to drier. 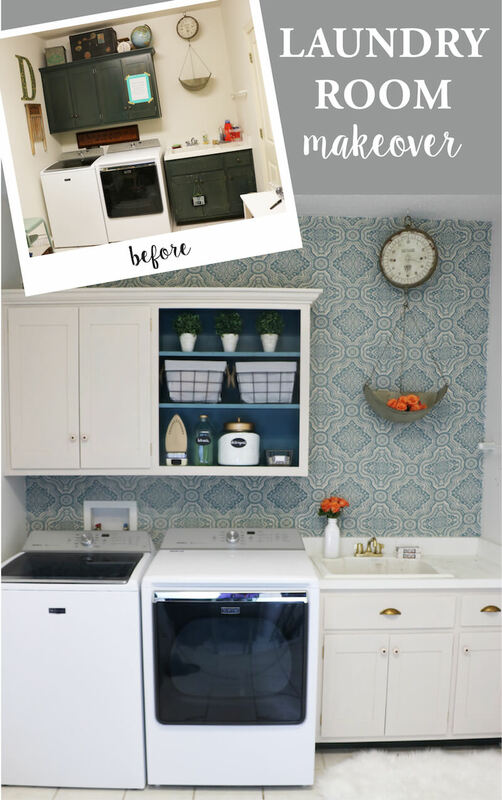 Whether you have a small or a large space, you need this work room to be super functional; that’s when you need some handy dandy and budget friendly laundry room makeover ideas. 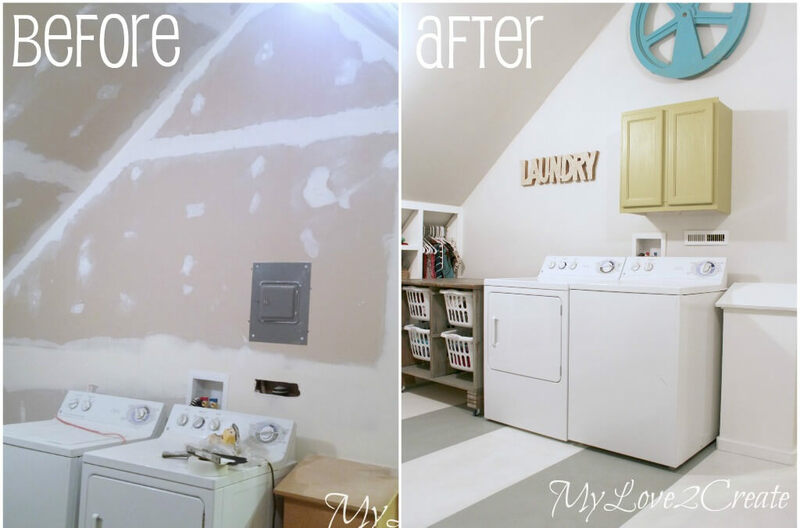 You may find that all you need is a fresh coat of paint on the walls and a few more functional shelves for your before and after laundry makeover! 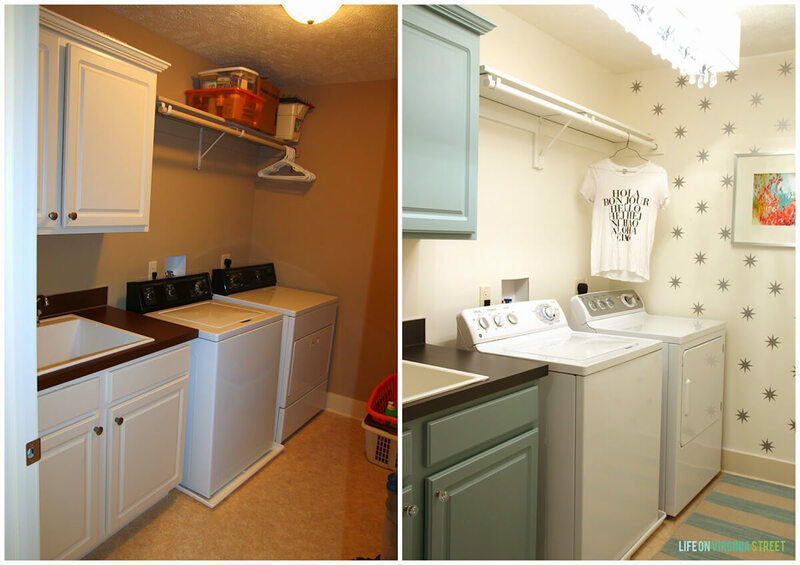 Check out these budget friendly laundry room makeover ideas for your next DIY project.